Village residents are once again creating the ice road along the Kuskokwim River after extending it more than 250 miles last year in an unprecedented feat that defied climate change. On their side, they say, is new ice-penetrating radar that helps speed up the work without sacrificing safety, and a plow truck purchased on Craigslist that weighs less than road graders. 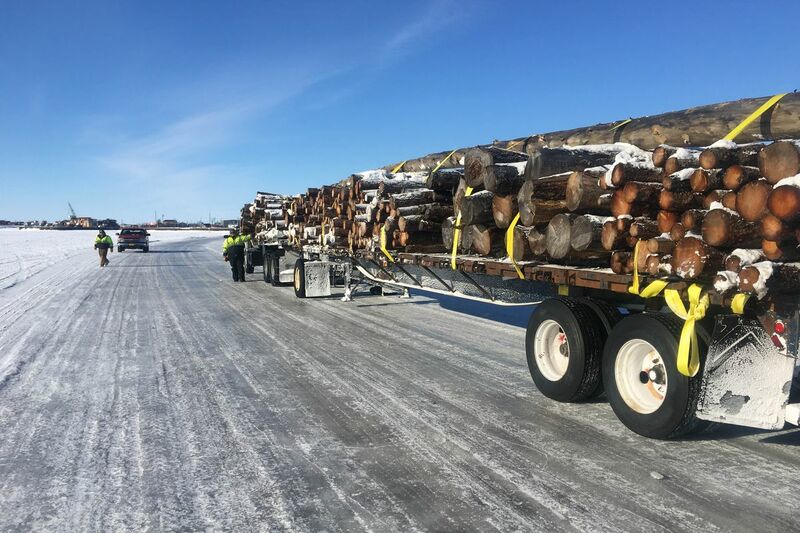 On Thursday, a three-man crew extended the frozen thoroughfare to the village of Atmautluak, near the hub city of Bethel, just in time for weekend basketball games. Joe Bavilla, an administrative assistant for the school in nearby Napaskiak, welcomed the news. It meant he could drive a Suburban full of high school players to the games, a roughly hour-long drive for less than $100 in gas, saving $2,000 in air travel. Leary and crews began to open the road out of Bethel in late December, after the ice froze thick enough to handle vehicles, Leary said. He works with other tribal governments each winter. The effort involves some 60 part-time workers. Some drill holes to gauge ice thickness, plow away snow drifts and polish rough patches. “We’re not playing around here,” he said. “Last year, we built the longest ice road in one of warmest winters on record, and safely, by measuring ice and drilling thousands of holes." 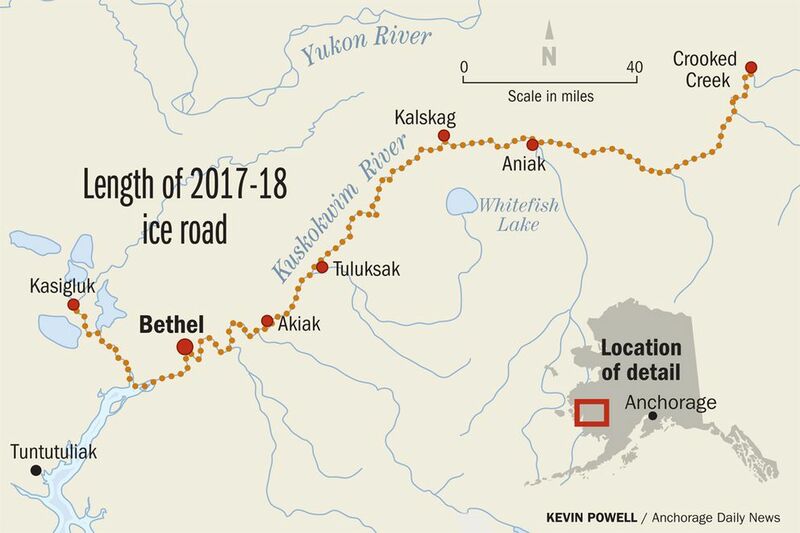 Stretching more than 50 miles longer than past years, the ice road connected at least 11,000 people in more than 15 communities, giving village residents access to Bethel. "It opened up opportunities for people to venture upriver to places they’d never seen,” said Mike Riley, president of the volunteer Bethel Search and Rescue Group, which provides public updates on ice-road conditions. People also flocked to Bethel, population 6,200, loading trucks with groceries not found in village stores. Many hauled large tanks in trucks, filling them with propane to reduce home heating costs. During daylight, about 250 vehicles are on the road at any one time, Riley estimated. “It’s very much appreciated by everyone,” Riley said. Leary said it might be possible to reach Crooked Creek again this year, 200 miles upriver from Bethel. And downriver, maybe the road reaches the river’s mouth at the Bering Sea, if weather allows. That was impossible last year -- the river was “wide open" there in the warm winter, he said. Key to the effort is a 35-year-old plow truck purchased from the Seattle Tacoma Airport, employed for the first time last winter. The Napaimute tribe bought it off Craigslist for $13,000, naming it Tumlista, “the one who makes the trail” in the local Yup’ik language. It weighs about 10 tons, lighter than road graders historically used to open the ice-road, he said. Crews can work on thinner ice than the 24 inches, the previous minimum, he said. “We don’t give up, we adapt," Leary said. Recently, he said the river’s ice-thickness averaged about 20 inches to two feet. For this winter, Napaimute bought the ice-penetrating radar for $30,000, with a Federal Highway Administration grant. It provides continuous computer readouts of ice thickness and quality, allowing for speedier assessment across a broad area. Leary double-checks with regular drilling, using augers. “We won’t bet our lives on electric equipment,” he said. Village residents who work on the roads weigh in with traditional knowledge, including where strong currents delay ice formation. 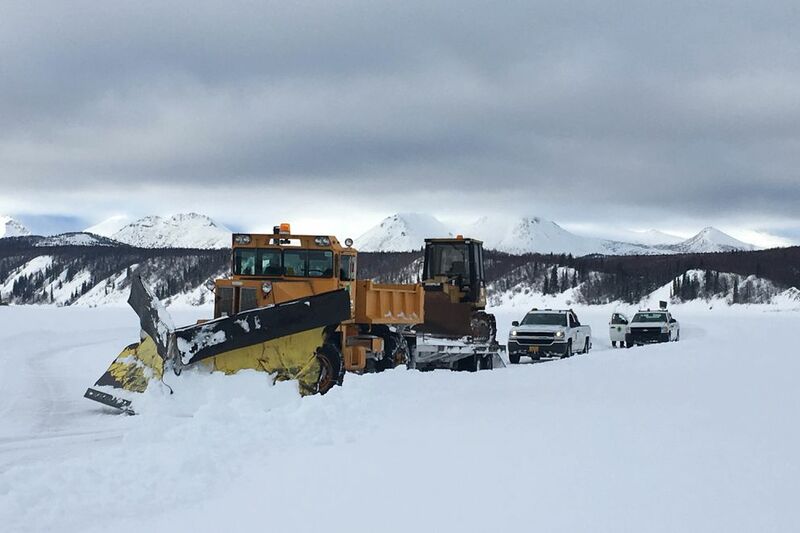 It was a big deal when the ice road reached Crooked Creek for the first time last year, said Tim Zaukar, tribal transportation coordinator in that village of about 100. The tribe there opened many miles of the road near the village using an old road grader it purchased from the state, he said. Locals marked out the best path, using drills and chain saws to test ice thickness. The effort cost less than $10,000, with money from the Bureau of Indian Affairs, Zaukar said. The ice road meant residents could travel to a larger village for medical check-ups at the clinic. Leary said he’d like to see the state help the tribes with funding and maintenance. State employees sometimes use the road, including troopers traveling between villages, he said. The state plans to do a traffic count this March, he said. Still, the state Department of Transportation doesn’t consider the ice road part of the state’s transportation infrastructure, said Shannon McCarthy, a spokeswoman with the agency. “Ice roads are not permanent, so any maintenance is essentially washed away in the spring,” she said. “We’d rather invest in permanent structures."